Lara founded LegalAliens in 2007. She began her performing career in Italy, after studying Dramaturgy at Univesity of Milan and training in acting ad singing at Accademia De’ Filodrammatici. and at Guildhall in London Her theatre credits include the physical theatre piece Sette a Tebe (Laboratorio Teatro Settimo), Madama Flora (Teatro Filodrammatici), Le Mosche (Cosmo), God of Vengeance (Pentameters, London), The King and I (BAC), Mad House (Old Red Lion), A Midsummer Night’s dream (Theatre in the Park), Tempest (Actors Centre), Poprygunia (Greenwich Playhouse), Romeo and Juliet (Leicester Square theatre), In the temple of Dorian (Cafe’ Royal), World’s Wife (Prague International Theatre Festival), Knitting Pattern (Walthamstow Festival). With LegalAliens she’s appeared in: Neither here nor there, The Return, Kill Hill, The ineluctability of chaos, Poker Face. Film/tv credits include Spectre, Berberian Sound Studio,Yours in solidarity, Tempo di mezzo, Delivery , Two voice invention, Nine days of hell, Ciao Ciao Mattina, Libriamoci, the BBC series He knew he was right and the pilot Hollow Bones. 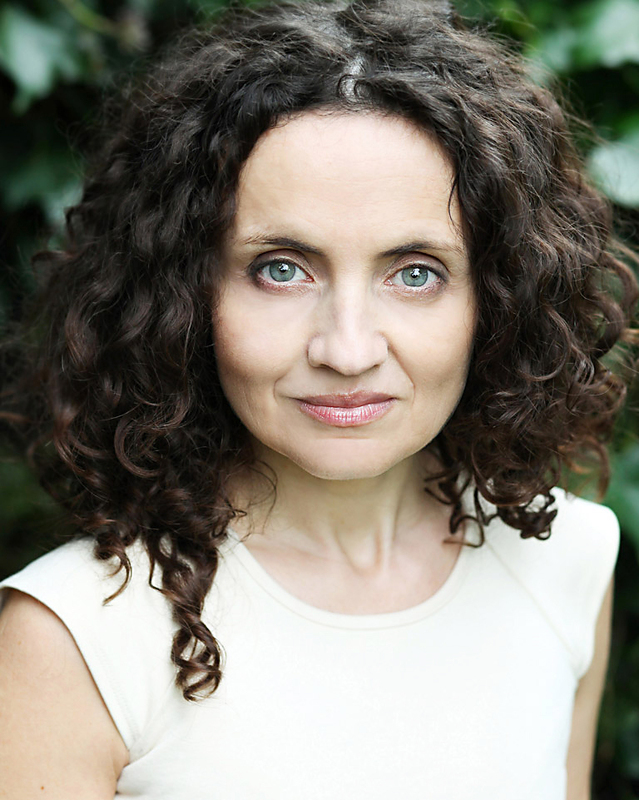 Lara has 20 years international experience as a voice over artist and teaches at the Actors Centre. Becka’s directing credits for LegalAliens include The Return (St. James Theatre Studio, Camden Fringe),The Generational Icons Project (RADA Studios), and Neither Here Nor There (Italian Cultural Institute). Other directing credits include Feast of Famine (Athens & Nafplio, Greece), The Walthamstow Mysteries (Walthamstow Marshes), Knitting Pattern(Words Over Waltham Forest Festival), Commodity (Theatre Lab Company / Riverside Studios) and The Conversation (Theatre 54, New York). Becka is also artistic director of Beautiful Confusion Collective, which is currently in residency at Hornsey Town Hall Arts Centre. Performance work with BCC includes BackStories (Alfred ve dvoře, Prague; Vyrsodepsio, Athens; Resolution! 2015 and Brighton Fringe 2016), Does Becka Speak Czech, Movement/Architecture and things that happened on the street. With Jamie Harper of Hobo Theatre, she is co-founder and producer of ImpFest: The Impermanent Festival of Contemporary Performance. Becka holds a PhD in Theatre & Performance from Goldsmiths, University of London. John’s goal is to create images which connect with the viewer on both an emotional and aesthetic level and have a strong sense of authenticity. 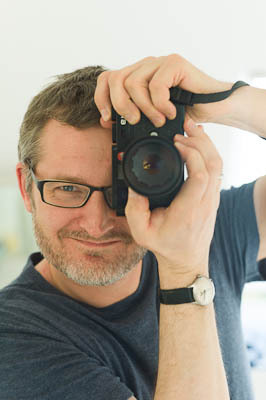 He has an interest in photographing movement and creating video images that complement theatre performances. Credits with LegalAliens include The Return, Generational Icons and World’s Wife. Other credits include Bonny and Clide, Great Gatsby and Hutch. Although always interested in collaborating with new artists, we have a pool of artists that regular work for us. Eva Danickova: Eva works in London and internationally as a dramaturg, librettist and translator of plays and prose. Originally from the Czech Republic, Eva is passionate about promoting Czech and European theatre in the UK. Eva founded Boii Theatre in 2010, producing plays in translation in venues across London. She wrote and produced two operas for the Tête à Tête Opera Festival in 2011 and 2012. She is a Co-President of the Dramaturgs’ Network, a voluntary organisation dedicated to supporting dramaturgs in the UK. Eva reads Czech play scripts for the National Theatre and the Royal Court International Department. She recently worked with the actors of the West End production of ‘Once’ the musical. Deidan Williams: Deidan is a writer and playwright of African and Caribbean descent. He was selected by the Royal Court in 2014 for their Playwriting Group, and his first play, Manhattan Out To Sea was finalist at the Alfred Fagon Award for best play of the year. He’s also written novels and radio plays. Fed Zanni: Fed graduated with a First in Acting at ArtsEd, London. His Theatre credits include: Luigi in ‘Two Noble Kingsmen’, for Round Pebble; Rahim in ‘Citizen Erased’, for Silver Lining; Heretic in ‘Don Carlo’ (Royal Opera House); The Writer in ‘Midnight, When Trumpets Cry’; Sir Henry Irving in ‘Ellen Terry’; Eduardo in ‘Human Remains’; Pancho in ‘The Night Of The Iguana’ (West End). His Film and TV credits include: Martin McEnroy in ‘The Flask’ (Short, ASC); Pablo in ‘Being Human’, Stefano Setti in ‘Never Better’, Salvador in ‘Hotel Babylon’, Tranio in ‘The Taming Of The Shrew’ and The Waiter in ‘ The Girl In The Cafe’ (all for BBC); Carlo Asti in ‘Afterlife’ and Fabrizio in ‘The Complete Guide To Parenting’ (ITV); Urbano Lazzaro in ‘Ten Days To Victory’ (History Channel); D.I. Sergio Zavatti in ‘Dream Team’ (SkyOne). Fed is also a member of the ASC (Actors Screen Collective) and of Threw A Glass Productions (of which is a proud founder, together with Katrina Cooke and Chris Howard). Both ASC and Threw A Glass are devoted to create and develop independent projects for the big and the small screen and are now in pre-production for two of Fed’s own short films. This entry was posted in ABOUT US and tagged italian actors, Italian drama, ITALIAN THEATRE COMpany. Bookmark the permalink.